Another PMA cadet from Rinconada assumes top Bicol PNP leadership. Legazpi City, [07.08.18] – The prestige and honors are sustained by the two alumni of Nabua National High School in assuming the prestigious posts of the leadership of Bicol region police force in two consecutive spans of terms. 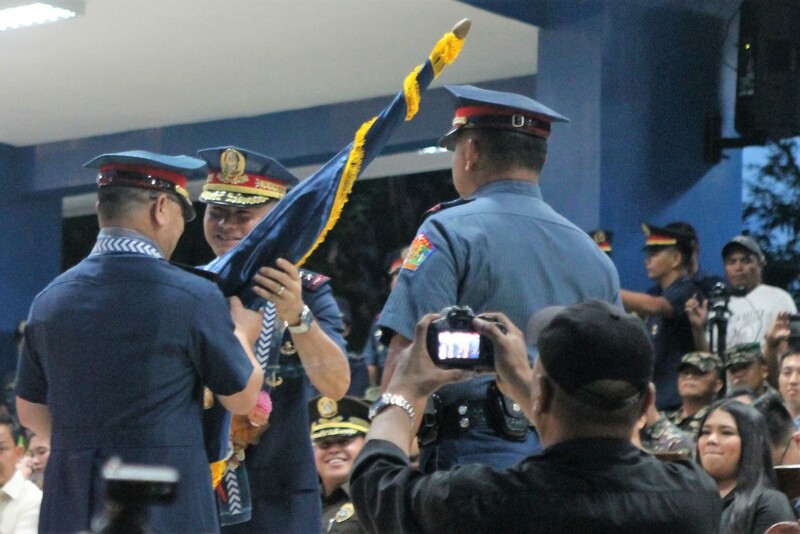 The covetous position in leading the Police Regional Office – 5 was swept by the outgoing police regional director: Police Chief Superintendent Antonio N. Gardiola, Jr, and the incoming police Regional Director Chief Superintendent Arnel Escobal who both hailed from Nabua, Camarines Sur. The illustrious sons of Nabua, Camarines Sur both served the PNP Highway Patrol Group before they assumed their respective posts as regional director of Police Regional Office of Bicol Region. The turn-over of command ceremony was administered by PNP Police Director General Oscar Albayalde inside Camp Brigadier General Simeon A. Ola on Saturday.